We have already stepped into 2019. You must be fully aware of what content marketing is and how it can help businesses – big or small – achieve phenomenal growth. But what you may not know is that video marketing is content marketing at its best. It is through videos that brands can engage and interact with their target audiences in multiple ways. Yes, videos are here to rule! While Facebook is trying to beat YouTube at its own game, Instagram is taking its video feature to the next level by allowing brands to communicate with their followers in newer ways. Quora too has jumped on to the video bandwagon. 2019 is the year when more and more social media platforms will bet big on videos. The game has only begun to get more interesting. 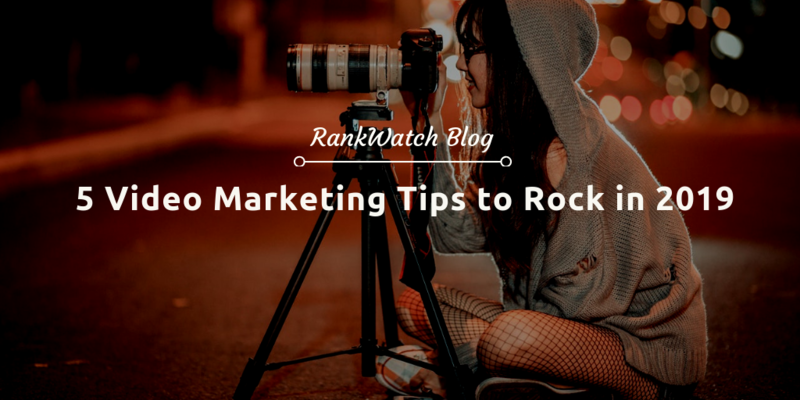 If you plan to rock in 2019, given below are five video marketing tips that you should start to follow for success. A marketing video is not about you – or your product or service. Focus less on what you sell, and more on the value that you offer. Use videos to transfer power to your viewers. Let viewers feel they have the authority while they are making a decision to buy something they need. Talk about the common issues that your audience is facing. For instance, take a look at this video where I talk about consistency (a very common challenge among bloggers) and not anything promotional. If promoting a product, show them what life is like before using your product and how your product can change their life for the better. Videos are one of the most powerful ways to do this and attract and engage. As new techniques for creating videos emerge, brand style guidelines become more important than ever. While producing videos, businesses often ignore branding elements like logo, use of colors, fonts and tone. Therefore, the style and content of their videos get out of sync with the rest of their marketing materials. The outcome of which is that they compromise their brand (a brand which takes several years to establish) and baffle their customers. As you amp up your video marketing, make sure you enforce your brand image with each video that you push out. If you haven’t done it yet, go and create brand guidelines specifically for your videos. Creating and following branding guidelines ensures you consistently send out the right message about your brand. Your audience may be diverse, belonging to different locations and cultures. It’s a good idea to transcribe and translate your videos for people who prefer using a different language than yours. If you use social media, you have often seen videos autoplay in your newsfeed. What do you do once a video starts to autoplay with no sound? You wait for subtitles and captions to appear so that you can judge whether it is something worth your time – before you want to listen to it. Right? That’s exactly what your viewers are like. Based on captions, they decide whether a particular video offers what they need. Subtitles and captions don’t only boost comprehension, but they also helps you avoid pitfalls of anti-discrimination laws. It’s interesting to note that most people who use subtitles or captions in videos have no hearing impairment. Translating and transcribing your videos has its benefits from SEO standpoint as well. Text-based content makes it easy for search engines to know what your video is all about and rank it accordingly. Since mobile device users are growing in number faster, your video marketing strategy must include mobile video formats. These days, everyone has a smartphone. They are accustomed to watching videos in vertical format. Practically too, watching a vertical video is much easier than flipping a mobile phone to the side and then watch it. If you plan to tap into your mobile audience and want to get the most out of social media, you should definitely consider video formats that work well on small-size screens and resolutions. Square videos are also picking up steam for the same reason – particularly on Facebook. Live streaming allows you to showcase moments as you live them – in the same way as pictures of meals do. Streaming live videos is a lot of fun. It helps you open up and connect with the audience on a personal level. While you may think that live streaming is only meant for news and media companies, it is a powerful tool that almost every type of business can have in their arsenal. As a business, you need to use live streaming to solidify your bond with prospects and customers. Pick informative, educational and entertaining content with users in real time. Just make sure it falls in line with your niche or industry. This is an excellent way to emotionally connect with an audience on social media and get them to comment and share their feedback. Plus, it allows you to step beyond your network and make new connections. 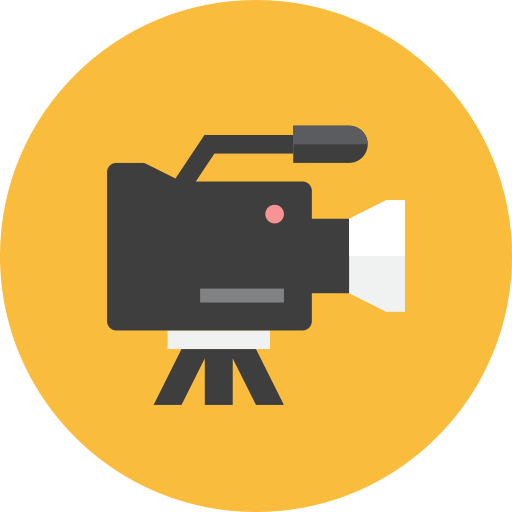 In any case, don’t forget to plan live footage in advance like you do with other marketing videos. Sloppy or unplanned live streaming may hurt your brand and have a negative impact. Video is growing for quite some time now. It has reached a point where people seem to have become addicted to it. Video marketing is no more a choice, it is an inevitability. No matter what niche or industry you operate in, you can always find new ways to use videos to market your products and services. All you need to do is brainstorm and put together a strategy which aligns with your business goals. Hopefully, the tips and guidelines in this article will make your task easier and bring your greater success with videos. Jane shares business lessons - that she learned the hard way - at her blog janesheeba.com. Jane shares business lessons - that she learned the hard way - at her blog JaneSheeba.com.